Rallys and the National Marathon take over D.C.
Patrick Moulton wins the 2009 SunTrust National Marathon. Beautiful weather isn't the only highlight this weekend -- the District will be busy with a number of major national events. 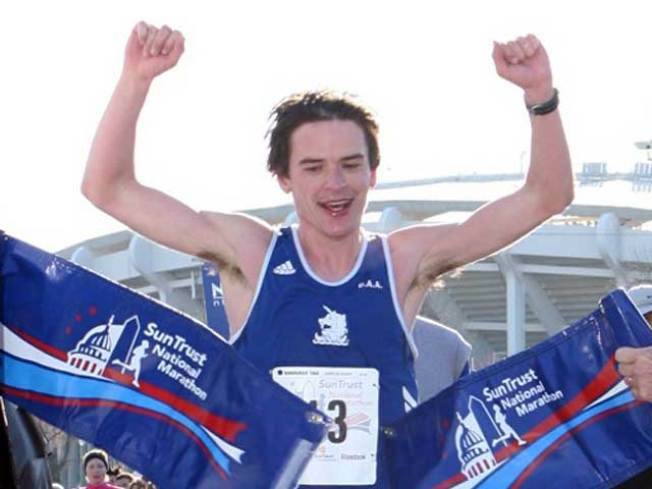 The SunTrust National Marathon kicks off at 7 a.m. Saturday. It will start and finishes right outside of the D.C. Armory and RFK Stadium. There will be 42 downtown road closures and reroutes until 1:30 p.m. Click here to view the entire list. News4 is the exclusive broadcast partner of the National Marathon. While the race is on, you can get the live stream at NBCWashington.com. Saturday afternoon, an anti-war protest will occur in front of the White House at Lafayette Park. The group Answer Coalition expects tens of thousands of people to attend. The group provides info for bus and Metro travel suggestions here. Rally participants are expected to arrive early at the park to make artificial coffins at 10 a.m. Leaders are also encouraging people to bring photographs of Afghan or Iraqi victims of war, and photographs of family members or friends who have been killed or injured in Afghanistan or Iraq. On Sunday, the immigration reform rally March for America will take place on the National Mall. The rally begins at 2 p.m. at 7th Street between Jefferson and Madison streets. The audience area will flow all the way back to 14th Street between Jefferson and Madison. Protestors are demanding Congress to act immediately to pass immigration reform and move quickly to put all Americans back to work. Last but not least, a vote on health care reform is likely to take place on the Hill Sunday.